This one time offer that will help you kick Google Panda in the nuts by giving Google what they want. As a result you get massive traffic even faster. What’s even better is this ebook is normally $47 but for a short time it is only $10 saving you big time! Google is so popular that the word itself has become a verb. 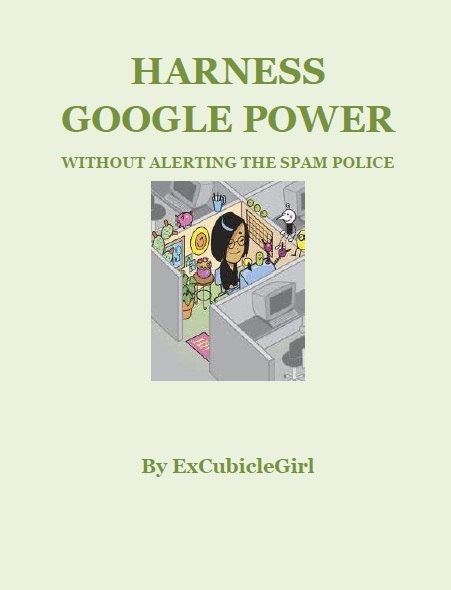 Well, this tiny 16 page eBook will teach you a few simple tricks to harness the power to deliver you more traffic than you can shake a stick at.. There is never any fluff. No muss. No fuss. And definitely No hype. Just the facts to get you from where you are to where you want to be. Hit the Buy Now button and you’ll never have to wrangle with SEO ever again!! !